Do we need to understand human nature, and particularly the nature of the human mind, to answer central questions in philosophy, theology and science? A powerful tradition in Western thought answered this question in the affirmative. For thinkers in this tradition, the greatest questions concerning morals, politics, and religion, and even a proper understanding of what is really involved when we “do” natural science, mathematics, and art, can be gained only from a position of knowledge concerning the actual nature of real human beings. But historically, this position on human nature was long held in abeyance by a rival tradition that re-conceived philosophy as the study of a priori truths. These circumstances have troubled scholars such as W.V.O. Quine, who famously declared that philosophers should quit their “make believe” and join forces with the natural sciences in trying to get a better handle on what the human world is really like. 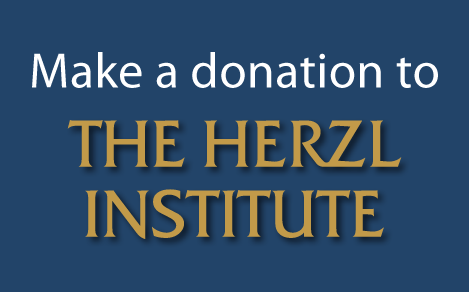 As part of this broader effort to gain fundamental insights into the place of human beings in the world, the Herzl Institute is home to an ongoing project in human nature studies entitled “Human Nature, Human Mind.” Since 2009, Institute scholars have hosted international conferences and a series of public lectures aimed at exploring the history of the human-nature tradition in Western thought, and to developing constructive contributions that human nature theory can make today to morals, political theory, and theology, as well as to seemingly more remote disciplines such as mathematics, logic, and natural science. Past speakers in this series include: Thomas Ahnert (Edinburgh), Roger Ariew (South Florida), Lera Boroditsky (Stanford), David Chalmers (Australian National University), Steve Darwall (Yale), Gil Diesendruck (Bar-Ilan), Samuel Fleishacker (Illinois), Dan Garber (Princeton), Aaron Garrett (Boston University), Tamar Szabo Gendler (Yale), Raoul Gervais (Ghent), Michael Gill (Arizona), Knud Haakonssen (Sussex), James Harris (St. Andrews), Bennett Helm (Franklin & Marshall), Michael Heyd (Hebrew U. ), Eli Hirsch (Brandeis), Daniel Jacobson (Michigan), Hilla Jacobson (Ben-Gurion), Aviv Keren (Hebrew U. ), Steven Horst (Wesleyan), Peter Lewis (Miami), Joseph Mali (Tel Aviv), Ricardo Manzotti, (IULM, Milan), Angela Matthies (Stuttgart), David Owen (Arizona), Fania Oz-Salzberger (Haifa), Robert Pasnau (Colorodo), Robert Pepperell, (Cardiff School of Art), Shimon Peretz (Bar-Ilan), Steven Pinker (Harvard), Jesse Prinz (CUNY Graduate Center), Paul Rahe (Hillsdale), Frederick Rosen (University College-London), Kranti Saran (Harvard), Geoff Sayre-McCord (UNC-Chapel Hill), Eric Schliesser (Ghent), Axel Seemann (Bentley), Oron Shagrir (Hebrew U. ), Silvia Sebastiani (Centre National de la Recherche Scientifique), Susanna Siegel (Harvard), Amie Thomasson (Miami), Alfred Tauber (Boston University), Marius Usher (Tel Aviv), Joshua Weinstein (Shalem), Konrad Werner (Jagiellonian), Benjamin Young (CUNY Graduate Center), and Nick Zangwill (Durham). 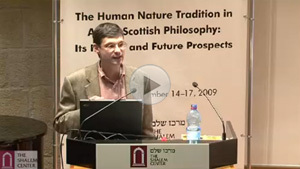 “The Human Nature Tradition in Anglo-Scottish Philosophy: History and Future Prospects,” Jerusalem, December 14-17, 2009. 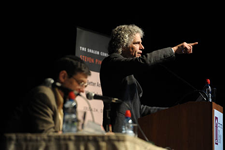 “Psycho-Ontology,” Jerusalem, December 11-15, 2011.